You have friends who make digital products? reward you for actively recommending us to others. 1. When you introduce a new vendor or product manufacturer to our platform, you will remain involved and receive a lifetime provision of half a percent for all generated sales. 2. This also applies to all transactions between a new product manufacturer and his sales partners. 3. All you have to do is simply recommend us and provide the Digistore24 registration link to those that are interested. As soon as the new vendor is successfully registered, you will start receiving provision. You get your money up to four times a month. Always timely and reliable. As a platform that grows almost exclusively through positive user recommendations and thereby not carrying out any advertising, we are proud to say, that we owe it to our excellent reputation. Go and google it. Your success is our success. Therefore we are working daily to improve the order forms of our vendors to increase their conversion rates. If you win a vendor for our platform, he can definitely expect increasing sales, which you will benefit from as well. Our complete infrastructure has been created by professionals in Germany. Thus we can guarantee you the highest quality standards. 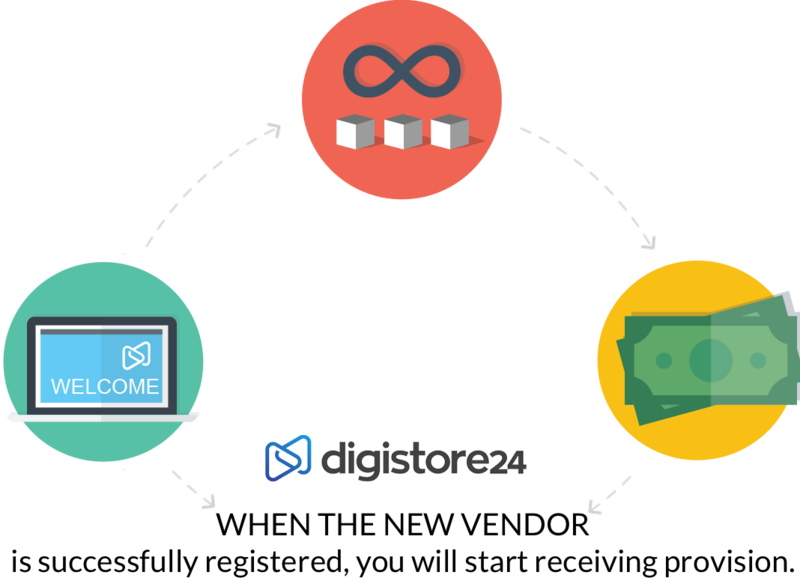 With Digistore24 you are fully up to speed with today’s market: We are the fastest-growing online marketing community in the German-speaking world, growing only through referrals. Our team members have personal experience as product manufacturers and distributors. Because of that we have managed to create a platform that provides all the tools, vendors need to optimize their sales process and have success.